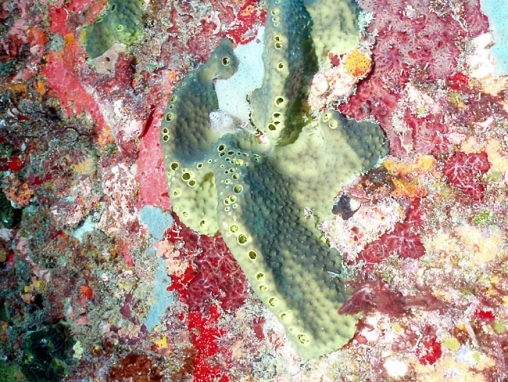 This sponge is greenish- yellow, and its colonies consist of attached chains of exhalent pores. The pores are spaced along the tops of the ridges. The surface is covered in small bumps, not in ridges as is the case with the other species shown here.